Hello everyone! I have been experimenting with some new ways of using my artwork and creating something crafty out of it and as a way of thanking all of you for reading my posts, I have decided to do a GIVEAWAY of the finished piece! First of all, I wanted to let everyone know who reads this, that this GIVEAWAY IS OPEN WORLDWIDE and YES! Postage and Handling is included in the prize too. This is a one of a kind handmade Art Journal / Notebook to sketch in or write little reminders in or notes or whatever you would like! Plus it’s the perfect size to keep in a handbag or backpack too. It has been covered in a roughly cut calico material front and back covers which gives an overall rustic look about it. The under cover is made of hard cardboard, like a hardback book, not a soft cover. 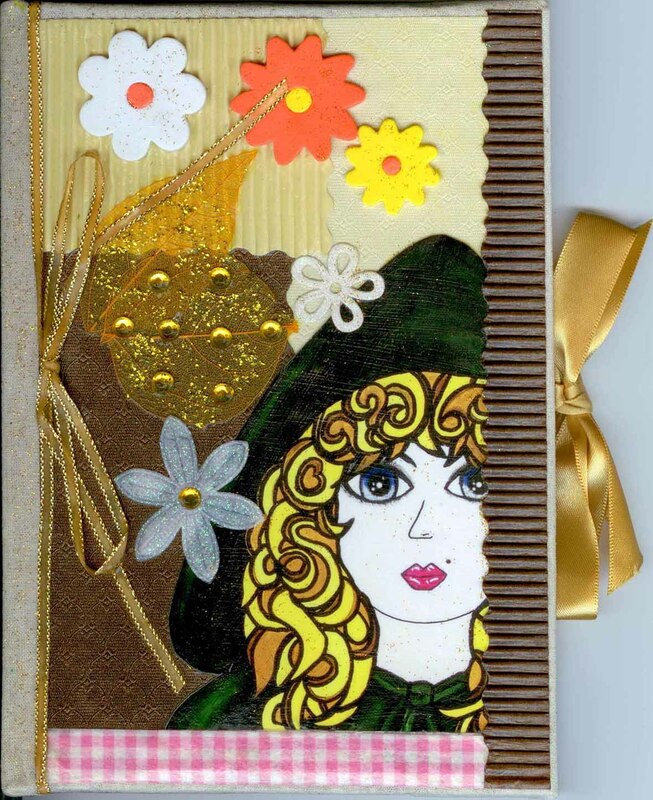 I have taken a giclee print of my original painting of Goldilocks and positioned part of the print in the bottom right corner of the front page. 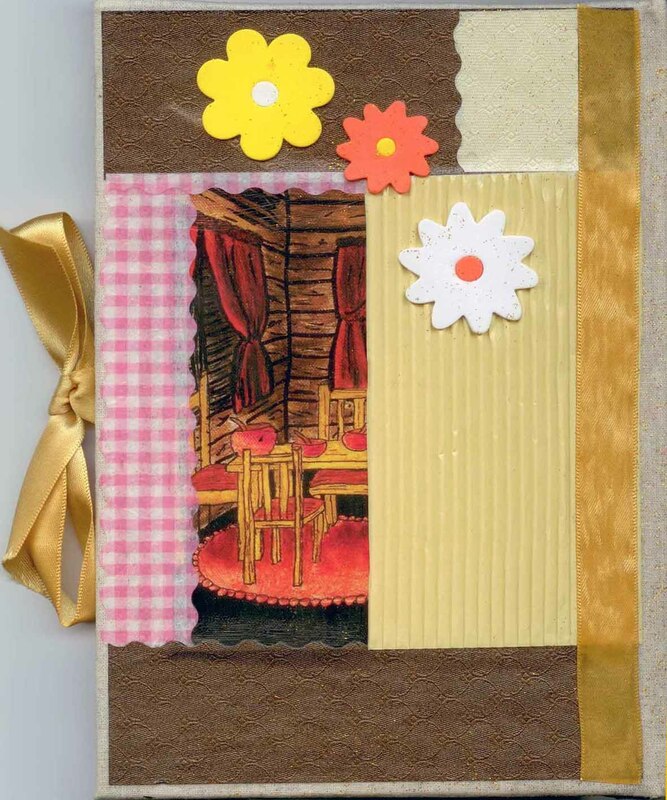 I have then collaged with a variety of mixed mediums to the front and back covers including little golden diamantes, delicate orange leaves and little yellow, orange and white flowers all providing different textures, effects and in neutral colors. Just inside the back cover I have attached a square shaped envelope to keep precious little notes or keepsakes inside. Both front and back covers are sealed. To finish it all off, it has a gold satin ribbon which ties in a cute bow to keep the book closed. The measurements of this book are 14.5cm width x 21cm height or (approx 6″ x 8″ ). It is an 80 page book, with lines on both sides of each page. If you like this, please like and share via your social media icons to tell your friends about it as it’s open to Worldwide residents! Thankyou for visiting my blog and good luck in the Giveaway! $25 Gift Certificate to be won! !